"Marketplaces are notoriously hard to start, but amazing if they work. 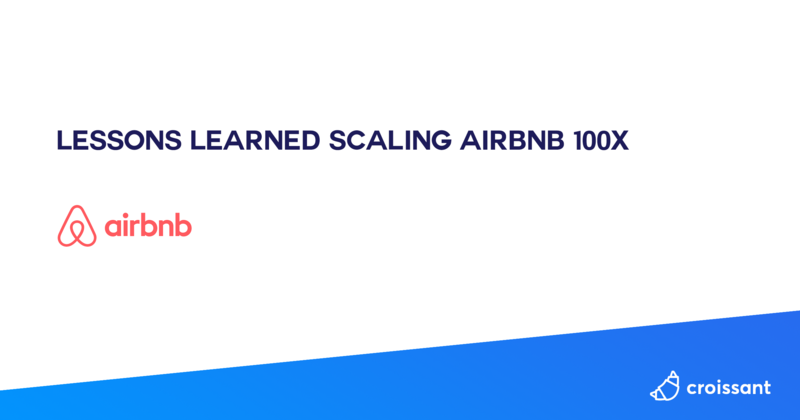 In my six years at Airbnb, I watched it scale over 100X on every metric: listings, users, revenue, employees". Online campaigns such as “Make $1,000 in one weekend renting your apartment to Oktoberfest attendees” instead of more generic campaigns like “Rent your apartment to strangers” dramatically improved supply-side conversion metrics." "We learned pretty quickly that more isn’t necessarily better. Even though we had successfully increased the number of new signups the previous year, they weren’t high-quality accounts. They weren’t turning into paying customers. We dug into our data and found that only about 20 percent of our signups were actually valuable to us. And that really changed the way that we thought about new account generation, user onboarding, activation, and how to encourage new accounts to purchase." "We used to set product goals every 6 months and we leaned on data while we were setting goals. Then, once we had some clarity on what we would need to execute on, we would figure out how to structure the team and split the product roadmap into 6 week sprints. I would probably say that there are three categories of metrics. The first category was around growth. The second category was around engagement and retention. The third category was around quality." "Balfour learned what it truly takes to grow a startup from 0 to $100 million. His experience at HubSpot combined with his years working with dozens of other internal and external startups helped him develop an insightful new set of four stages of fit: Market-Product Fit, Product-Channel Fit, Channel-Model Fit, and Model-Market Fit"
"I’ll give you everything you need to pick up 1,000+ subscribers in the next 30 days. Here are just a few reasons why you should be growing your email list in 2017: 1. Email has been the #1 most profitable marketing channel for 10 years in a row. 2. Email is 40x more effective than social media for customer acquisition. 3. For every $1 spent, email marketing generates $38 in ROI." "Looking at the best Facebook ad examples is one of the top ways to learn about Facebook advertising. In addition to gaining insight into what your competition’s doing, you’ll also get an overview of the latest design innovations and copywriting hacks used by top brands. That’s a real treasure chest waiting to be uncovered." "As you scale and your product matures, you will face an increasing number of potential opportunities to talk to your customers. It’s important to maintain a great customer communication experience throughout, and the best way to do so is to continuously re-evaluate your priorities and message goals. By keeping your focus on the big picture of what you’re trying to accomplish with all your messages, you can easily identify new opportunities and plan for the changes to come."